The term e-sports is short for electronic sports and has come to be associated with describing video games competitions. Much like traditional sports, there are amateur and professional scenes for the sports in question. There are also teams and contracts, leagues, and sponsorships. However, e-sports are very early in their lifespan and thus the infrastructure is not as well developed as traditional sports in many ways. Visas, for example, are routinely denied to competitors to go to events because they do not fit the traditional definition of an athlete or businessman. Specific contracts between players and teams are kept secret with unethical strategies being used. The basic terms of these contracts also are slanted heavily in favor of the organization, with players unable to argue for better conditions. Many of these issues do not exist for traditional sports; contracts in the NFL for example are highly regulated, teams must abide by clearly defined rules, (including forced buyouts in the NBA, such as what happened to the L.A. Clippers) and rarely are athletes denied visas to compete. This lack of infrastructure, direct precedent, and general lack of legal knowledge on both the parts of players, organizations, and to an extent the companies, is likely the cause behind all of the issues that exist in the e-sports scene. It must be stressed that there is very little scholarly research done about e-sports, even less so in legal scholarship. For many of the issues discussed in this blog post, very few have any research of any sort conducted and most of the sources will be press articles that are not peer-reviewed or under any formal scrutiny. In this sense, the issue of lack of infrastructure also extends to the scholarship itself. This blog post seeks to be an introduction to the field of exports, while highlighting some potential issues that may exist in the field regarding copyright and trademarks. E-sports has been growing year after year in its size and has never been bigger. In terms of viewership the largest e-sports event of 2015 was the League of Legends LCS 2016 with over 43 million unique viewers and a peak of 14 million concurrent viewers worldwide. The prize-pool for the event was $6.7 million USD. The second largest event, called the International 2016, an e-sports event featuring the game DotA 2, had a peak viewership of 8 million and an $20 million USD prize pool. Championships matches for LCS and the International have filled up entire sports stadiums and smaller events still are able to occupy large convention spaces. These statistics are not very surprising in light of the fact that over 150 million Americans play video games, with more than half of all households owning some sort of dedicated games console and 40% of Americans responding that they play three hours or more of video games each week. Of course, these statistics are not directly translatable to e-sports because the study did not specify between e-sports titles and non-e-sports titles. The study for instance, did not differentiate between individuals who played video games on mobile devices (phones, tablets) as opposed to traditional gaming devices (portable, home, personal computer). Of the largest e-sports titles in terms of revenue, sponsorship, and prize money, the vast majority of them are only available on personal computer (League of Legends, DotA 2, Starcraft II, Counter-Strike Global Offensive are all personal computer exclusive games), so it stands to reason that there may not be direct correlation between the figures. Nevertheless, the size of the e-sports industry is hard to deny, even when it is evaluated separately from the gaming industry as a whole. According to SuperData research, the e-sports industry generates around $748 million USD in sponsorships, pro-players, ticket sales, gambling, merchandising, ticket sales, and other direct revenue. This figure does not include game sales, sales of downloadable content, or microtransactions; (in game payments which can offer direct benefits ingame, most often in mobile games such as the ability to purchase extra plays in Candy Crush) it only looks at the revenue that e-sports directly generates through competitions). Unlike traditional sports, e-sports themselves are software that some entity has copyright control over. No individual or entity owns football for instance, so theoretically one could organize a football tournament and no one could stop the tournament on the basis of the organizers not having the rights to the game. Originally, Blizzard Entertainment (the creators of Starcraft) found it more difficult to restrict Korean broadcasting of games and tournaments. When the successor to Starcraft, Starcraft 2 was released, the game could not be played without a direct connection to Blizzard, thus allowing Blizzard to control licensing more directly. This mistake has not been repeated by League of Legends, in which the game cannot be played offline and thus allowing for Riot to have complete control over the game. Interestingly enough, both Counter-Strike Global Offensive and DotA 2 can be played on local area network (allowing for non-internet multiplayer gameplay on multiple computers) and are both owned by Valve Entertainment. However, this likely ties into Valve’s business strategy with these two games, which relies heavily on community generated content and will be detailed later in the paper. Proprietary control is very important when it comes to e-sports. Many gaming companies have learned from the mistakes of Blizzard Entertainment, who was unable to control KESPA (Korean Esports Association, which was responsible for organizing pro players, granting licenses, scheduling showtimes on Korean television, etc.) for many years and as a result did not receive a portion of the direct revenue generated from the e-sports scene for Starcraft Brood War. For the most part, now all of the largest tournaments are sponsored and funded by the companies themselves. The International is funded by Valve, LCS is funded by Riot, Starcraft II is funded by Blizzard and they sublease broadcasting rights to several different Korean companies. Nearly all of these games have their largest tournaments broadcast on Twitch.tv, an online streaming website that allows for people to watch gameplay footage in real time. Because of the primarily online distribution of e-sports content (with the exception of South Korea) this furthermore allows the companies not to have to rely on other broadcasting companies to show their tournaments. Indeed, streaming has become so lucrative that YouTube is beginning to expand their streaming capabilities for games. Third party e-sports leagues are being brought into line, but instead of shutting them down they allow them to continue with a license. A great example of this happening occurred with the Super Smash Brothers community. In 2013, EVO was sent a cease and desist letter by a lawyer in Nintendo stating that they were not allowed to broadcast Super Smash Brother Melee. However, after online backlash, especially considering that Melee had been a staple at EVO for years, Nintendo reversed the decision. To this day, there are those who believe (like myself) that this decision was actually made in error, given that the decision was immediately reversed and no such decision was made before, there is a suspicion that the lawyer may simply have been new and didn’t know what he was doing. Regardless, after the EVO 2013 incident, Nintendo started to reach out to tournament organizers and sponsored them. In 2014 and 2015, Nintendo not only licensed broadcasting rights to MLG (Major League Gaming), EVO, APEX 2015 (the premier Smash tournament where all versions of the game are played) and many other leagues, but also sponsored the events, providing money, equipment, and promotion on their Twitter and Facebook pages. Leasing and sponsoring the tournament also had other benefits for Nintendo. A fan-made modification to Super Smash Brothers Brawl, referred to as Project M, was very popular and featured in many tournaments. However, because Project M was not a Nintendo product, not only did they not receive money from it (it was a free download, but the makers received donations) but it also created a product that could potentially compete with their products. Many users online noted that when they played Smash 4 for the first time that the game felt similar to Project M. When Nintendo began to sponsor these tournaments, Project M disappeared from the event listings in its entirety, although this cannot be definitely linked to Nintendo, it is very likely that Project M’s omission was a stipulation by Nintendo for sponsorship. In 2015, the makers of Project M would cease their development of the mod in its entirety, the reason they claim was not because they were targeted by any legal action by Nintendo but rather because they saw it as a potential hurdle in the future and wished to avoid it. Third party leagues are becoming more valuable as well, as their production companies, industry knowledge, and connections make them very valuable to both investors and gaming companies. It also allows for the company to have more control over their e-sports presence. In 2015, ESL (Electronics Sports League) was acquired by a Swedish Media company for $87 million USD, because the company saw the worth in the future. In 2016, MLG, (Major League Gaming) was purchased by Activision-Blizzard for a rumored $46 million USD in order to better promote their esports titles (which include Starcraft, Warcraft, Call of Duty, Heroes of the Storm, Hearthstone, etc.). By absorbing the league, it is able to better control the tournament. 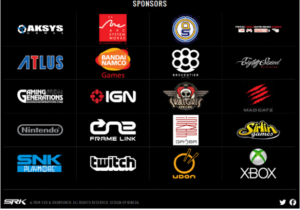 Another example would be in how Nintendo sponsors tournaments. At these tournaments, the traditional commercial break, where an ad would be run on the streaming website (usually Twitch.tv) was instead replaced with Nintendo commercials and promotions. For example, Nintendo brought a setup of the then-unreleased game Splatoon for attendees to play a demo of at Apex 2015. Greater company involvement and control allows for greater control of the message. A potentially interesting issue that could have a large impact on the e-sports scene is the idea of copyrighting concepts and game mechanics. It is well established in copyright law that you cannot copyright archetypes and settings, for example while you can copyright Spiderman, you cannot copyright the idea of a superhero who has spider-based powers in New York City. Although untested in the realm of video games however, it seems that this principle also applies to game mechanics. The U.S. Copyright Office statement on this matter seems pretty succinct. The Office states that the “methods of playing a game” are unprotected according to the statement and “similar methods” may be used. (https://www.copyright.gov/fls/fl108.pdf) This is consistent with the history of several e-sports titles. An example that highlights this is the history of DotA, League of Legends, Heroes of Newerth, Heroes of the Storm, and SMITE. The original DotA was a fan modification for Warcraft III, developed by several enthusiasts. Over time, the developer split up to pursue their own projects. Guinsoo, one of the original developers, would end up creating League of Legends and Icefrog, another original developer, would be hired by Valve to create DotA 2. Heroes of Newerth was a game that had similar game mechanics as the other two and also was derived from the original DotA. With the popularity of what was then called DotA-style games arising, other companies jumped into the mix, Blizzard created a game known as Blizzard DotA, and Hi-Rez studios created SMITE. All of these games retained elements from DotA, for example leveling, three lanes, items, 5 versus 5 games, etc. However, even though these games all derived heavily from the same source and were very mechanically similar, there were very few legal problems between all of these companies. In fact, the only lawsuit filed within the realm of DotA-style games was filed for trademark reasons, not copyright. Blizzard, the owner of Warcraft III which is the game the original DotA was derived from, claimed that Valve could not commercialize the name because it belonged to the Blizzard community and would create confusion as to if DotA 2 was a Blizzard product. The end result was that Blizzard conceded the rights to commercially use DotA to Valve while Valve conceded that non-commercial work (the original DotA for instance) could use the DotA name freely. To that end, Blizzard changed the name of their game from Blizzard Dota to Blizzard All Stars, and the final name for the game was Heroes of the Storm. As the newest medium to express creative ideas, video games have a long ways to go before significant legal findings are made about it. And as far as e-sport goes, there will be a long time before the legal issue present within the field get any significant attention by legal scholars…certainly when more money is involved. While it is true that the entirety of e-sports revenue generated worldwide is larger than that of the NBA, the field still needs more time to expand its audience beyond those who play video games and attract those who also do not. In the meantime however, familiarizing oneself with the history and potential legal issues of e-sports will help any lawyer who wishes to get into video games related litigation in the future. Video games are the next big frontier. Although many legal issues, especially with e-sports, will be familiar to lawyers who are otherwise unfamiliar with video games (for example, players contracts or trademark law) there are many more potential issues that are unexplored and have potentially large ramifications. Intellectual property (IP) lawyers will be at the forefront of this effort, as they are best suited for interpreting older statutes that never had video games in mind when they were written to be applied towards video games. Already there is a growing number of lawyers involved in video games, whether it is the popular Video Games Attorney who gained notoriety by helping smaller studios sue larger companies or the legal divisions of Activision-Blizzard and other large companies. Navigating this unknown frontier of IP law requires the guidance of an experienced IP attorney.